This past week has been wonderful. It was my birthday on Wednesday and I’ve been spoiled silly by so many wonderful people. Packages in the mail, trips to the city, visits from my mother, late night dinners. All this positive attention reminded me that I can also spoil myself a little -I decided I was entitled to as much sangria and shortbread as I please during this week. I whipped up a big batch of sangria and peach shortbread last Sunday and spent the week picking away at it. 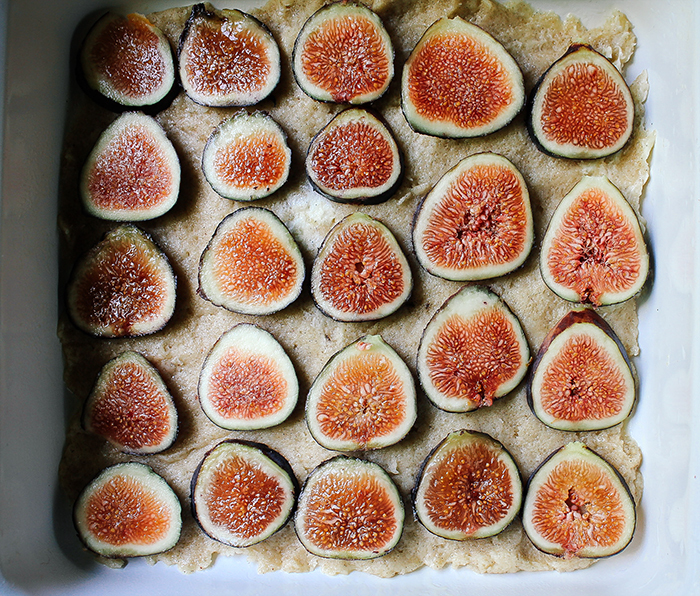 Heck, I even ran out of shortbread by Wednesday and whipped up another batch; this time I whipped up these fig shortbread bars. Sometimes you are kind of nervous about getting older and the only cure is large amounts of butter and sparkling wine. Oh and having amazing people in your life. There is something incredibly comforting and satisfying about shortbread. Maybe it’s the mix of savory butter and sweetened fruit. Or maybe I just grew up with a little too much butter in my cookies. Either way, these cookies will not disappoint. The honey is just icing on the cake (literally) – use maple syrup instead of honey if you are making the vegan version and double the recipe (use a 13×9 inch pan) if you are baking for a crowd. Preheat oven to 375 degrees and spray a 8×8 inch pan. In a large mixing bowl, combine the flour, sugar, cinnamon, vanilla beans, baking powder, and salt. Use clean hands to work the butter and applesauce into your dry mix until the dough is course and crumbly. Press 2/3 the mixture into the bottom of your pan, lay the figs in a single layer across, and top the figs with the rest of the mixture. Bake for 20-25 minutes or until the top is browned. Remove from oven and set aside to cool. Whisk together the powdered sugar and honey. Slowly add in the hot water 1 teaspoon at a time until a thick glaze is created. Drizzle glaze over your shortbread and enjoy! Where did you get fresh figs ? I live in Washington state. Happy Birthday, lady! And wow – these shortbread appear to be the most perfect birthday food (I always think cake is overrated). 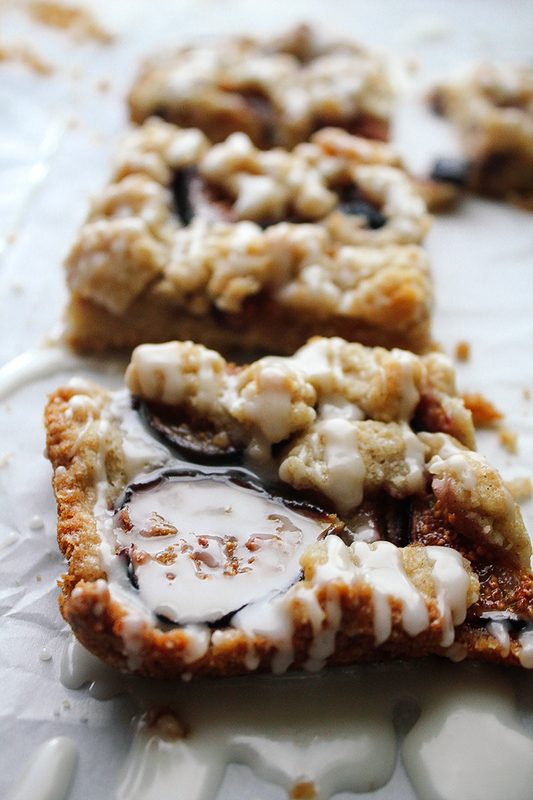 I absolutely cannot wait for figs to come into season, and then it will be all figs all the time. Yum! This looks like my perfect dessert. figs. honey. shortbread. count me in! I saw that you’re from the midwest. I am too, and I cannot for the life of me find fresh figs anywhere! Where did you get yours? This looks insanely delicious! 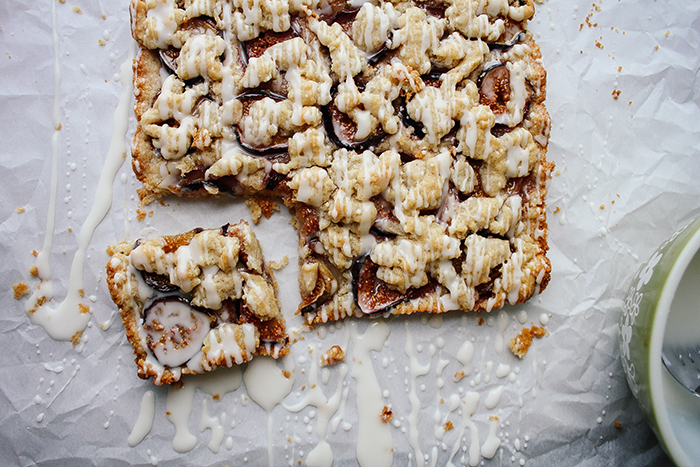 I love figs so much… can’t wait to make this! Oh! i have so many figs on my tree that need to be used. I’ve been going with me savory recipes but this looks so yummy. it’s on my list now!! GAH – I was just SO jealous that you HAVE a fig tree!!! Happy birthday, Shelly! I would take shortbread over cake any day (and especially on a special occasion). 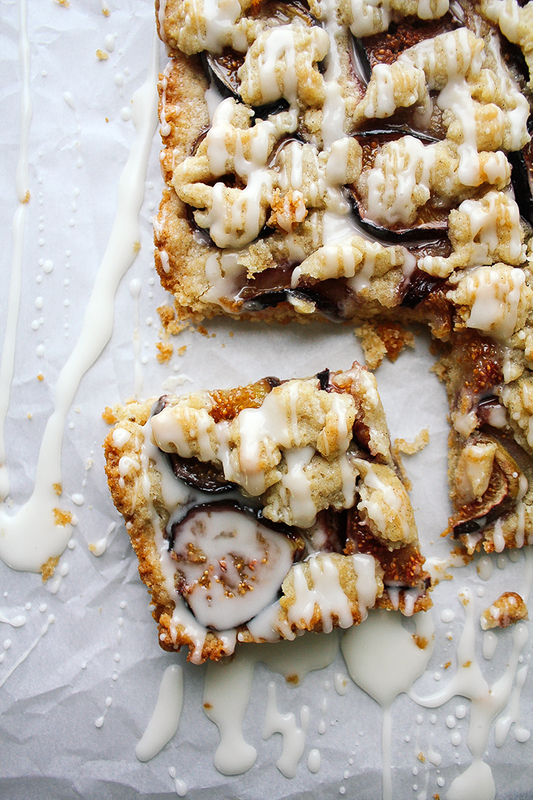 This figgy version looks to die for! This looks so damn good in every way. Happy belated Birthday! I have a soft spot for shortbread and this the most beautiful way to serve it! 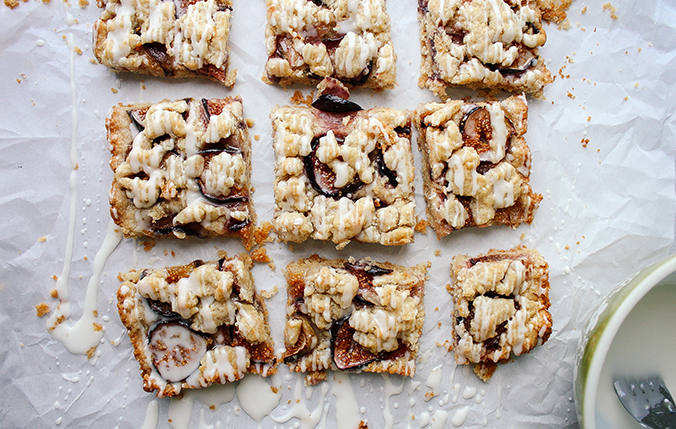 Can dried figs be substituted? Maybe re-hydrate them first? I’ve never tried re-hydrating dried figs before but I’d imagine they would work? I would start with less sugar though since dried fruit tends to be sweeter. Also, instead of dried figs – try submitting with another fresh fruit like strawberries or blueberries or even a stone fruit! I have a feeling that would work even better! Hope that helps.